Description: Phacelia pachyphylla is an annual herb growing erect to a maximum height around 17 centimeters. It is glandular in texture, the hairs tipped with bulbous glands. The hairy inflorescence is a one-sided curving or coiling cyme of funnel- or bell-shaped flowers. 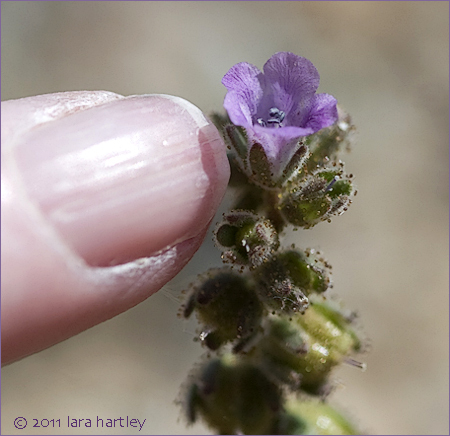 Each flower is about half a centimeter long and light purple in color. Leaf: The leaves, which are mostly arranged around the base of the stem, have crinkly or wavy-edged rounded blades on stalks a few centimeters long. Notes: This plant was photographed Apr 1, 2005 in Red Rock Canyon State Park, Mojave Desert, Kern County, California. 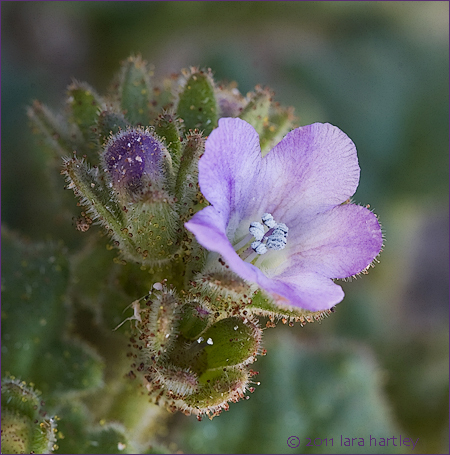 Phacelia pachyphylla, a dicot, is an annual herb that is native to California and is also found outside of California, but is confined to western North America. 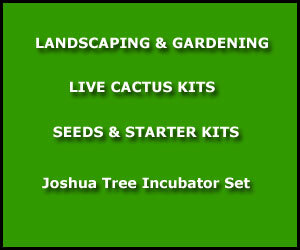 Distribution outside California: Baja California.